Art centres on a picture. A picture of some white lines. Some white lines on a white background. A picture which costs Serge £200,000. But is it art? His friend, Marc, doesn’t think so, but Marc is a traditionalist and not a fan of modern art. Their friend, Yvan, is fairly indifferent, but is too busy focussing on his pending marriage and doesn’t want to offend either of them by agreeing or disagreeing. But over the course of an evening, the debate rages, and the three of them bicker, fall out and deliver some home truths; as the painting proves to be more of a talking point than they expected. Mark Thompson’s stage design is deceptively simple. The blank walls, the clean lines and the minimalist furniture all reflect the canvas in question, but looking closer, the set also reflects the three main characters, with three differently styled chairs reflecting each of their tastes. With so little on stage, Art heavily relies on its script and performances to hold the audience’s attention over the play’s 90 minute runtime. Yasmin Reza’s script (translated by Christopher Hampton) is wordy, fast paced and remains sharp and witty, with some nice comedic elements and a satisfying pay off. 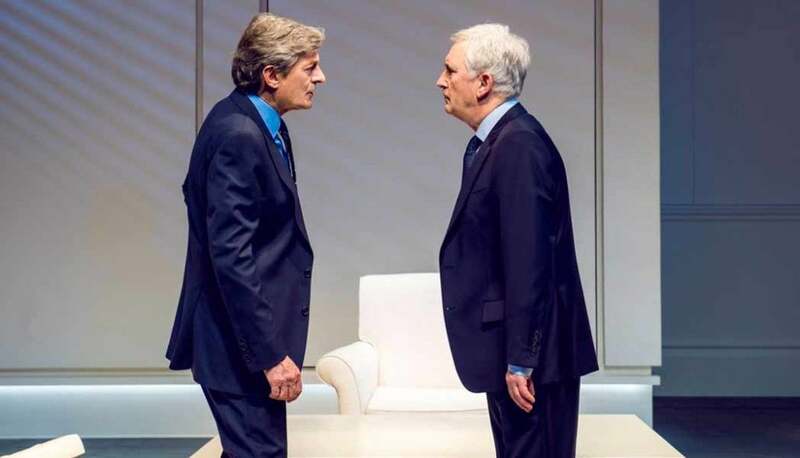 Nigel Havers is well cast as Serge, carrying an air of superiority and condescension; Denis Lawson satisfies as Marc who favours the traditional over the modern; whilst Stephen Tomkinson upstages both of them, with a surprisingly impressive turn as Yvan, bringing laughter, pathos and emotion to the stage as the piggy-in-the-middle of the bickering group. 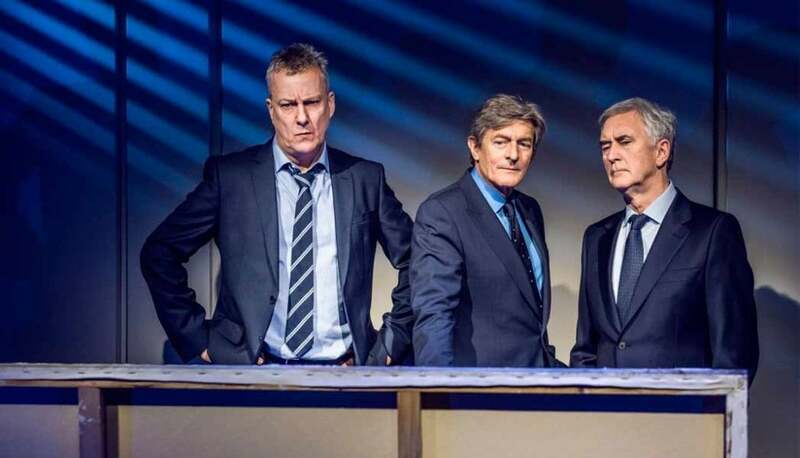 Over 20 years since it landed in the West End, Art remains an enjoyable piece, which in itself provokes debate as to whether its real intention is a serious point about the appreciation of art from an individual perspective. Whether it is poking fun at the pretentiousness of the superiority that can accompany a highbrow point of view; or whether, like Yvan, it sits somewhere in the middle. Art is showing at the Sheffield Lyceum Theatre until Saturday 21st April 2018.